Rocky islands and misty mountains meet rural landscapes and beaches in the diverse holiday destinations of Hong Kong. Rich in history, culture, exotic cuisine and fantastic shopping opportunities, cruises to Hong Kong are the ideal way to maximise the number of destinations covered in one relaxing holiday. Considered the ‘World City’ of Asia, Hong Kong has absorbed a diverse range of exciting cultures, making it a fascinating place to explore. A fascinating blend of Cantonese Chinese and modern Britain, Hong Kong enjoys a much more open lifestyle than that of mainland China. There’s a lot more to Hong Kong than shopping, despite what many people think. 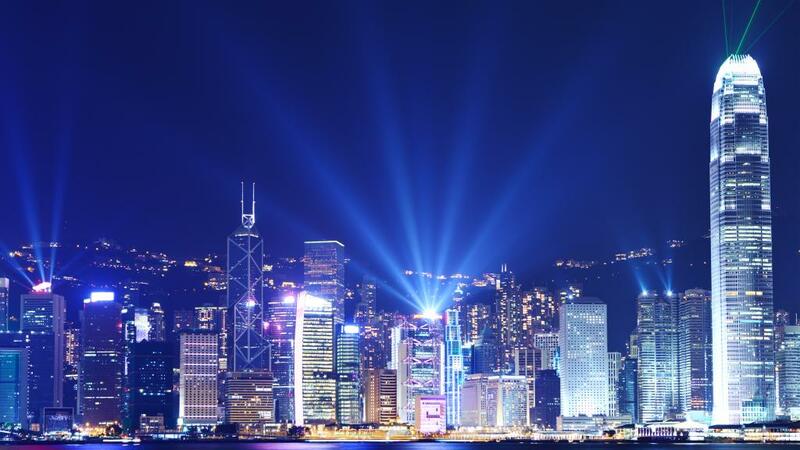 Still, the shopping here is certainly one of Hong Kong’s biggest attractions and some of the world’s best. No visit would be complete without experiencing the sheer magnitude of Hong Kong’s shopping scene, particularly as there is no sales tax and it’s a duty-free port. Bag the best bargain on jade, porcelain, silk, designer fashions and custom made clothing. For a taste of authentic cuisine, yum cha simply is a must-do while in Hong Kong. Combining the ancient custom of tea drinking, you’ll also enjoy a variety of Chinese cuisine served as dim sum. When your belly is full it’s time to explore some of the more eccentric attractions of Hong Kong, such as the Yuen Po Street Bird Garden. As you navigate the city you’ll be charmed by the sight of birds in wooden cages displayed outside shops and homes. Here at the bird garden you can stroll through the courtyards to the pleasant sounds of Chinese songbirds as locals take their feathered friends for an excursion. Modelled off the Hollywood Walk of Fame, the Avenue of Stars is a promenade featuring Asian stars’ handprints and excellent views of Hong Kong Island. At night, it is also a popular place to see the Symphony of Lights show at 8pm. No visit to Hong Kong is complete without a trip across Hong Kong Harbour on the Star Ferry. For the best views, be sur to board on the upper deck. If you’re feeling active, hiking is extremely popular in Hong Kong and there’s no shortage of scenery to explore. Head to Lantau Island and discover the lush green mountains and the wide open space of this idyllic island. Stroll along beautiful Cheung Sha Wan Beach, visit the fishing village of Tai O and see the giant Tian Tan Buddha at Po Lin Monastery or enjoy a skywards bound cable car ride.